Get your Samsung Galaxy S8+ repair with Vancouver's trusted experts! In Canada, this device has the model number SM-G955W and has curved glass at the edges of the display. The bigger they are the harder they shatter into a million pieces. Argh! Let us revive your device back to its former glory with a fresh new glass screen. 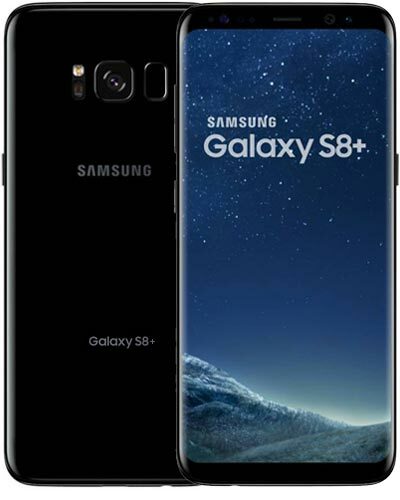 Just give our trusted techs a buzz at 604-700-6049 to secure the part for your Galaxy S8+ screen repair and we can have your device fixed within a couple of hours. Those buttons aren't nearly as satisfying to push when they don't do anything! Whether it is the power, volume or home button, it is all repairable! However, we currently do not carry this product so please call us at 604-700-6049 to place a special order, made just for you. If you don't hear sound through your headphones or they don't fit into your headphone jack, you may need this repair. Fixed exclusively at our storefront location. Due to the rarity of this request, we may need to special order the part for you. Please call 604-700-6049 to inquire. Lights, camera....no action? If your main camera or selfie cam is glitching out, we can usually fix this by replacing the camera itself. We currently do not carry this product so please call us at 604-700-6049 to place a special order, made just for you. Hello? Is anybody home? You might need one of your microphones replaced if people can’t hear you when you're making a call or if there is no sound when you're recording a video. We currently do not carry this product so please call us at 604-700-6049 to place a special order.